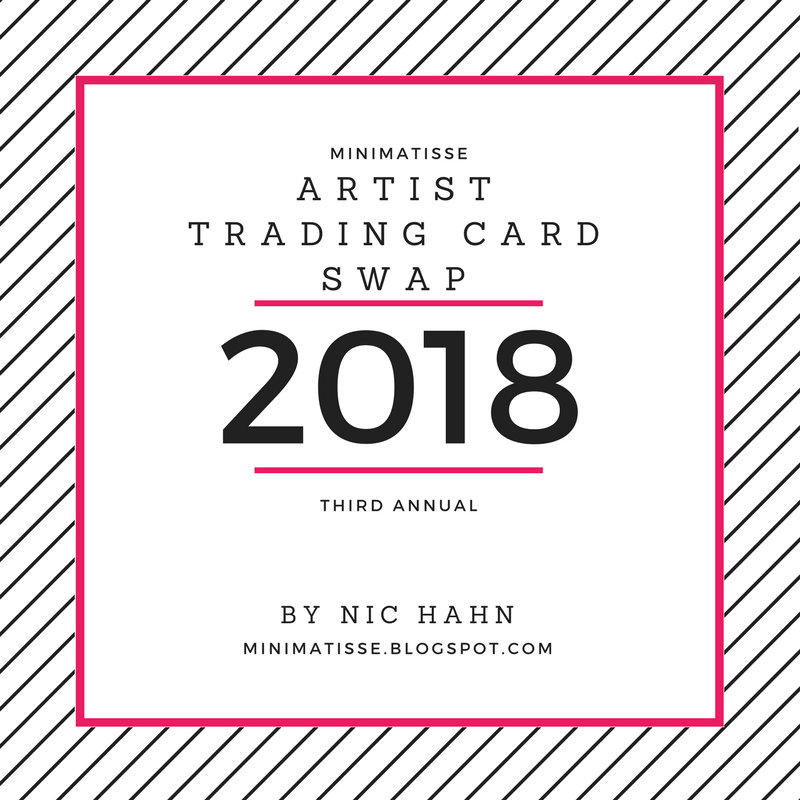 I have been getting lots of emails about the Artist Trading Card Swap this year. I'm happy to say, YES!! We are continuing with our 3rd Annual Artist Trading Card Swap!! There will be some changes this year. 1) You might notice that we skipped 2017. I usually have the cards due to me by November. This works out well for me, however not so great for Dan, my pal at our local Post Office. Dan has explained to me mailing our packages back to all of you before Chrismas is not so great because they are working overtime with Holiday packages. Adding another 100 plus packages onto their plate is not what I want to do. So, instead, we will be moving the due date back to 2018. 2) This year there is a small fee for participation. In the past, I have fundraised to send back all the packages to the participants. Last year that was close to $800.00. Totally worth it, however, I had several participants offer postage or money. They explained that they appreciate the trade and are willing to help out. By doing this, my fundraising money can go back to my students in the form of an Artist in Residence. 3) Each package will be capped at 100 cards. That doesn't mean that you can't participate if you have less... you can. If you have more you can still participate as well. You would simply purchase the package plus. This will look like a second lesson on TpT.... in short, it simply gets you another 10 ATC's in the trade. The packages with over 100 were very hard to manage and I feel often received the wrong number in return. By keeping the packages small, I feel I will be more successful at being accurate with the trade. 4) I will run a separate ATC swap for teachers. To reduce the confusion of cards. There will be a Teacher ATC lesson plan to purchase for a lower rate. You will send that to me in its own envelope. Cards will be wrapped in groups of 10 with information about the cards available. A way to connect your students to others all over the world. Today is the announcement that there will be a trade this year. I am working on the packet that will include EVERYTHING you should need for a successful trade including video lesson, lots of inspiration resources, and all the instructions needed for this year's trade. I will be posting the package on Teacher Pay Teachers and on this blog on August 18th... one week from today. In my packet, I would like to give as many samples of Artist Trading Cards that I can. If you have a post or a video that you are willing to share to our ATC community, with full credit... would you please send me those links?? Even if you have already sent me them before. I would like to include a variety of cards for inspiration. By doing this you are agreeing to share your content on the Artist Trading Card Swap resources. You know me... I'm all about collaboration! Can't wait to see what you share. You are awesome! :) Thank you for being a blessing to the art ed community...and an amazing servant leader!!!!!!!!!!!!!! I'm so glad you are still doing this! With all your hard work for this you are amazing, thank you! Do you know an approximate date cards will be due to you and when new cards will be returned to us? I want to do this with my 5th grade but want to make sure they'll get their cards before school is over and they move onto middle school. Thanks. Yes! This is an incredible amount of work on your end but incredibly impactful to a young artist community. Thank you for sharing your time and talent! Can not wait to participate!!! So exciting!!! GR8 idea! Thank you very much for sharing such a wonderful initiative. I'm in Spain, is this only for The US? You can totally join in the fun. We love cards from all over the world. Yay! Glad you're charging, totally fair for us to pick up our own postage. My kids asked on their first days if we were in again this year so they are amped and ready! I would like to try this with one grade level in my building, prob 3rd. How does the swap aspect run? I dont want a student to feel bad if nobody wants their card or it is the last one left? Great question... 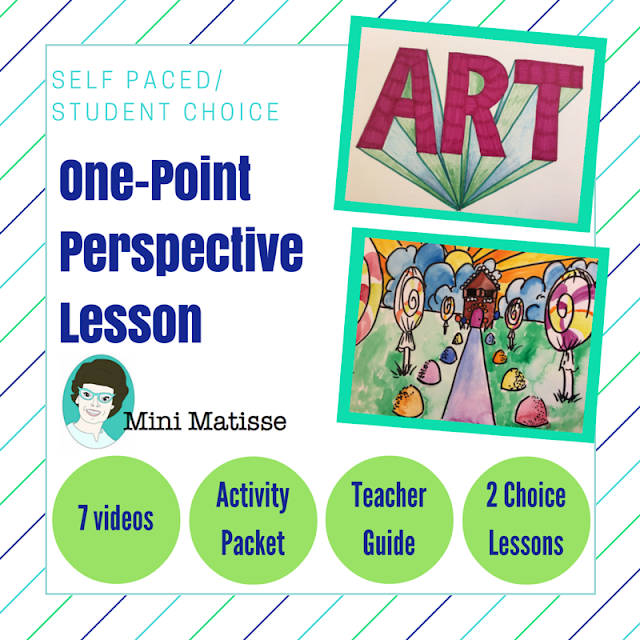 I will provide some ideas for the trade portion on my lesson plan that I'm posting tomorrow. I'm so happy you're willing to do this again! My students enjoyed it so much last year. Thank you for all of your hard work! What is the deadline for this event in 2018? We just wrapped up, but we will be announcing the 2019 exchange in Aug. Check back then! We would love to have you join. Thank you so much for doing this again and for all of your hard work. My students and I truly appreciate it! !